The 2016 Subaru IMPREZA 2.0i SPORT LIMITED five-door wagon. A vehicle designed for your life, and your life's journeys. EPA rated at 33MPG highway, it is a class leader as well as being PZEV rated. Spacious. Plenty of room for you, your friends, and cargo. Fun. Great handling, acceleration, and seating, while offering Symmetrical All-Wheel Drive. An IIHS Top Safety Pick Plus. This IMPREZA 2.0i SPORT LIMITED 5 door wagon has a leather interior with heated front seats, keyless entry, a rear cargo mat, a luggage compartment cover, all-weather floor mats, a back up camera, a sunroof, and rear seat back protectors. The infotainment system has navigation, an AM/FM/CD sound system, XM satellite radio, and Bluetooth connectivity. 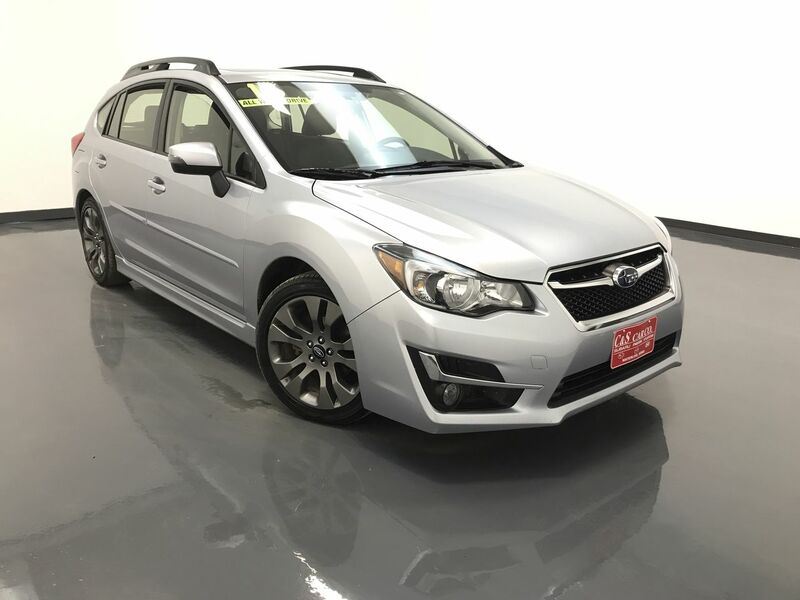 This Impreza 5 door hatchback is also equipped with Subaru's Eyesight Assist Technology which provides you with pre-collision braking, pre-collision throttle management, adaptive cruise control, lane departure/sway warning. The exterior features 17" alloy wheels with Yokohama tires. **One Owner** Call C & S Subaru at 319-291-7321.